DigitalSEO > Blog > How Does Your Digital Reputation Matter For Business? “Why should I spend money on reputation management?” is the question that most small business owners ask when we bring up the subject. After all, they do not have any shareholders or boards to satisfy with their squeaky clean reputations. What they do not realize is that online reputation management has gained a lot of currency in the past few years. Until very recently most small companies did not even have an online presence to speak of, let alone worry about managing its digital reputation. So, we will see why your reputation matters so much for the success and growth of your business! Before the digital revolution, it was not easy for people to reach many people with their opinions. But with the internet being the powerful medium it is and technology providing the ease of use, people can quickly broadcast their negative feedback. This can have an immediate whiplash effect on your company’s reputation. Digital Reputation Can Make Or Break Your Business! Ever since the internet exploded onto people’s hands through their smartphones, everyone has an opinion about everything and have no problem shouting it out for the entire digital world to hear. These reviews when broadcast to the whole world wide web can easily make or break your business. Hence it is imperative that you spend the time and effort required to carefully cultivate your online reputation. Why Do Reviews Matter For Your Company’s Online Reputation? People go by online reviews for every single decision they make in today’s world. Ratings are the key to deciding anything, right from what movie to watch to which car to buy. Customers check for reviews and ratings before they buy any product. Statistics show that 74% consumers trust businesses with positive reviews and that 84% consider online ratings as important as personal recommendations. So, you can see why having good reviews and hence a positive online reputation is essential for your business. Now that we have established that digital reputation management is necessary, how do we go about doing it? Before you get started, find out what your customers are saying about your company and products right now. Check out search result pages for your company, and you will get a fair idea of what the general opinion about your business is. You might be surprised by the amount of negative feedback floating around, which could be damaging your company without you realizing it. So, What Are You Going To Do About Your Digital Reputation? There are ways to get ahead or get around negative feedback and maintain a positive reputation for your firm in the digital space. Keep a constant lookout for any feedback or comment on all your company’s social media platforms.Respond to all of the comments, both positive and negative, as and when they come in. Keep your replies polite and to the point, and address any valid concerns the customer may raise. We find that negative comments are often the result of some confusion and misunderstanding about your product. So, it might help to provide a 24×7 live chat option on your website through which your customers can get their questions and concerns answered quickly by a company representative. Ensure your company’s information is accurate across all local listings and review sites like Google and Yelp. Double-check the correctness of your business’s name, phone number, address, working hours and website details in all directories. 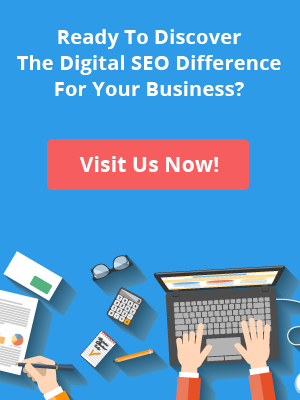 With a good reputation management partner like Digital SEO, you can easily navigate the troubled waters of the internet and give your company a positive online presence. Get in touch with us to find more about online reputation management today! 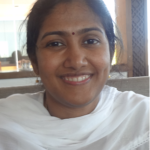 I'm Ranjitha A Hariraman, a content writer at Digital SEO. I love working with words, finding ways to string them together to create powerful imagery in the minds of the reader. I enjoy putting them to good use in creating persuasive copy to promote any brand or product. ← Want To Discover A New Way Of Growing Your Business?